Whenever the name of the most beautiful man-made creation is being asked on earth the name of Taj Mahal comes by itself. 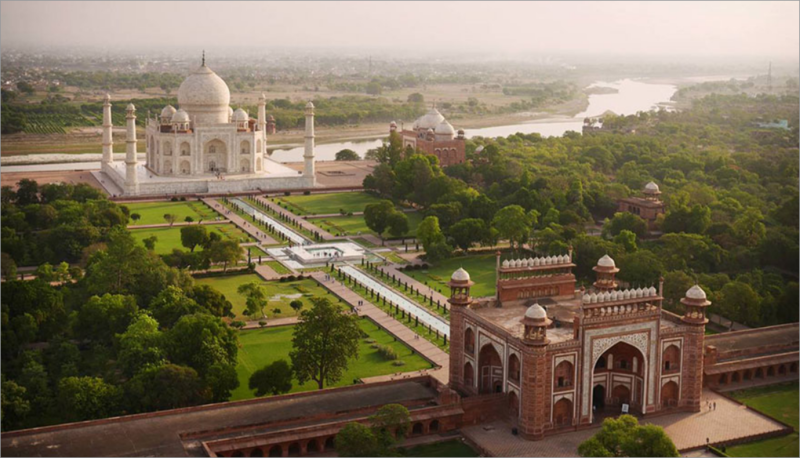 Situated on the bank of river Yamuna, Taj Mahal is one wonderful and amazing piece of art that holds one unique place in the history of Indian literature. Made from white ivory marble the story of its conceiving and making is as interesting as it could be. The Mughal emperor, Shah Jahan, the man behind the creation of the masterpiece gets all the credit for getting India into the book of the Seven Wonders of the World. The story behind the Taj Mahal along with the myths and legends that it enfolds are worth splurging upon. 1. Commissioned in the year 1632 by Shah Jahan, Taj Mahal is a symbol of love, pain and purity all at the same time. 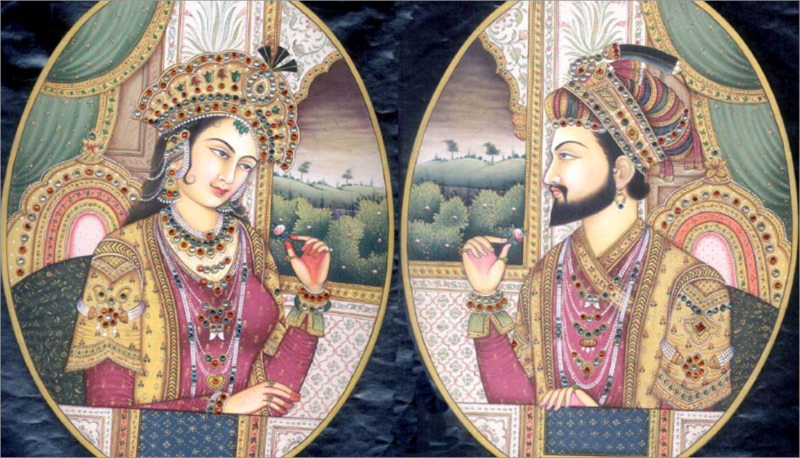 It was being made to house the grave of his third and extremely beautiful wife Mumtaz Mahal. The love and compassion towards her compelled the King to make one beautiful structure that later becomes the icon of India making it famous all around the world. 2. Being started in the year 1632 Taj Mahal got concluded in the year 1653 that is it took almost 22 years to complete one massive and equally awe striking structure. Thousands of slaves were made to work with utmost dedication and allegiance to complete it which costs about Rs 32 million at that time. It costs more than 1 billion in today’s date. There were different workers for stone cutting, painting, embroidery, calligraphy and for transportation with the help of elephants from different places. 3. 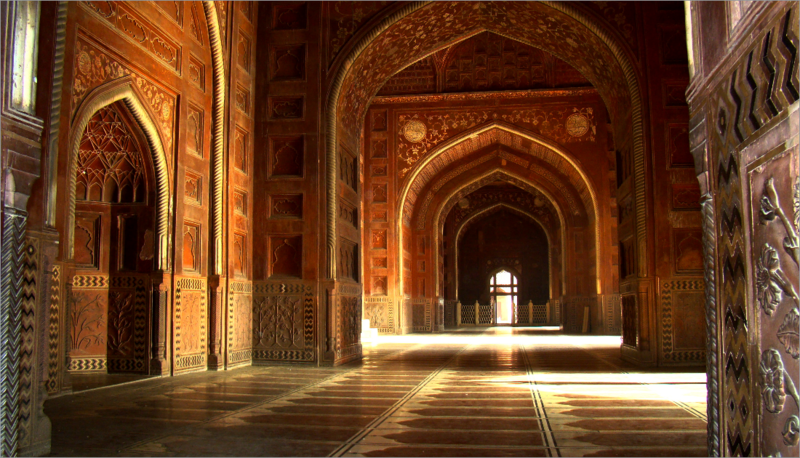 The credit for planning the fine master art Taj Mahal goes to the architecture Ahmed Lauhauri. He took all the pain to get the work done for his emperor from transporting stones and marble from Rajasthan, Afghanistan, Tibet and China to embedding some of the precious and highly expensive stones from different regions. The calligraphy written in the exterior and interior of the walls praises the queen Mumtaz Mahal, appreciating her magnificence and beauty. 4. It is considered as one of the most symmetrical structures of the ancient times, giving the know-how about the intelligence of the engineering and the architecture. The perfectly identical four sides give the sense of replication and symmetry in the geometry, creating a mirror image. Just the two tombs inside are unequal; where the male tomb is kept larger than the female. 5. There are many myths prevailing about Taj Mahal out of which one is about chopping the fingers of the workers and blinding the architectures who constructed the Taj Mahal by the emperor so that they can never make a replica of it. Another is the idea of making a similar structure but with black marbles that is a black taj mahal. However, there is no evidence to support these myths. 6. Being one of the most majestic man-made structures, Taj Mahal encounters around 12,000 tourists every day from all around the world.